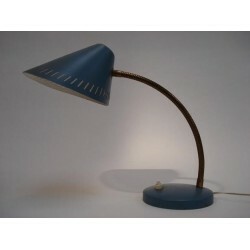 Beautiful office lamp of the Dutch mark Philips. 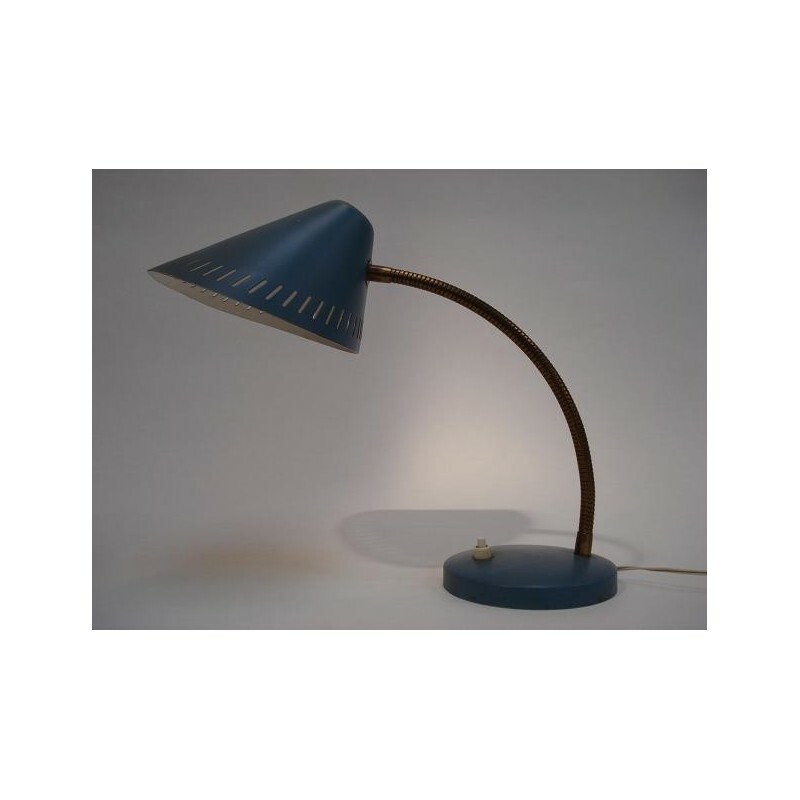 The lamp has a flexible arm and a blue foot and cap. In the nicely formed cap straight rebated joints sit. The dimension is 30 cm high and the cap is 16 cm in dia meter.